This is a lovely apartment in Barcelona, ideal for large families and/or groups. 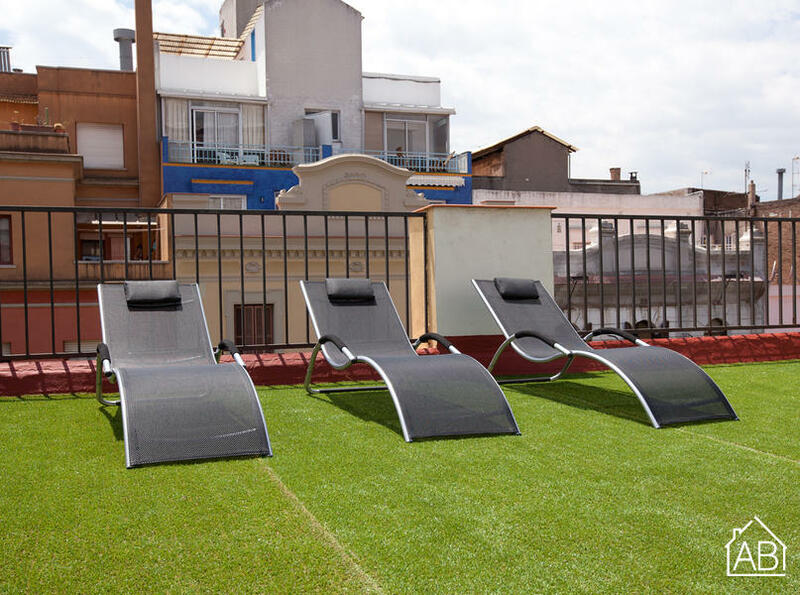 It is situated just off Paral-lel street, one of the most famous in Barcelona, and is just a short walk from Las Ramblas and the Port. It is very well connected by public transport to the city´s main attractions and is surrounded by bars and restaurants, plus many places for entertainment, including several theaters. This fantastic apartment has a beautiful communal terrace, complete with grass, sunbeds and showers - perfect for those warm summer days! The apartment can accommodate up to six people, and has three bedrooms. It comes fully furnished and the kitchen is fully-equipped. There is one bathroom in the apartment. It also has an Internet connection, a TV, air conditioning and a washing machine - everything you need to make you feel right at home when in Barcelona.